Angel Radcliffe, MBA is a Speaker, Author, Entrepreneur & IT/Finance Consultant with 10 years experience in Finance, Accounting & Technology. Ms. Radcliffe provides Consulting to small businesses in relation to Financial Reporting, Analytics, Social Media Strategy & Real Estate Vendor Services. Ms. Radcliffe is a recipient of the National Financial Educators Award and has been featured in various media outlets including; Hello Beautiful, Huffington Post, The National Federation of Small Business, D Magazine, Fundera Ledger & more. 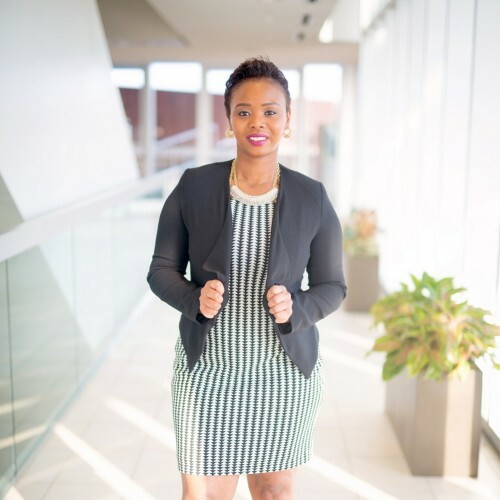 She is dedicated to educating the community on Financial Literacy – Credit & Budget Management for Consumers & Small Businesses. Ms. Radcliffe is passionate about the future of youth, supporting women, and community. As a community leader, Ms. Radcliffe has served 8 years as Board Finance Chair, in addition to taking on leadership roles within non-profit organizations, leading diversity & inclusion / enrichment initiatives & is dedicated to giving back to the community. Ms. Radcliffe’s goal is to start a non-profit in the near future, she also aims to educate the community on Financial Literacy – Credit & Budget Management for consumers & Small Business Finance for Entrepreneurs. Find out more about Angel Radcliffe at http://missrmba.com.